This is a very long debate among Windows users: It is time to move to Windows 7 or not ? Before getting into the debate let's take a quick preview over the main advantages of sticking with Windows XP and moving to Windows 7. The main arguments for the ones that don't want to move to Windows 7 is that they think they have a low resource computer that will be unable to handle Windows 7. This is partially true, Windows 7 is heavier than Windows XP, but that don't mean your computer will just crash when you try to install. It is also true that your computer will be slower with seven, but not the operating system is the cause. For example if you have 1GB of memory you will find out that your favourite Mozilla Firefox browser with 10 open tabs use most of your memory, while your operating system use only 20% or so. I have some friends with 1GB computers that are using Windows 7, they often complain about the lack of memory that causes the computer to run slow sometimes but it is probably because the browser with a lot of open tabs. If you have less than 1GB you should not try using windows 7. Windows 7 can't run all programs that i use. If you are concerned about some big name software that it will not be available on Windows 7 you don't have to worry. They already have versions for Windows 7. If you concern about light software that you are afraid that the developer stopped working on it a long time ago also don't worry, they will surely work. Basically the software for Windows XP and Windows 7 is not that different. The only difference is when you use the version made for Windows 7 you can get more features. There is a bigger difference between W7 on 32 bit and W7 on 64 bit. So my recommendation, if you switch, use the 32 bit version, even if your computer works on 64. There is a well known issue about the battery problem in Windows 7. If you run a laptop and you mind if you will have to change your battery after 1 year of use, then you should stay away from Windows 7, at least until they fix the bugs that cause the batteries to die very soon. I have a lot of friends with Windows 7 or Vista that are complaining that after 1 year of use their batteries are almost dead. This can be a good argument especially for kids, or girls. It is a known fact that some persons like the animations even if they add few seconds to every action that you take. From my point of view, they are waste of time and they are annoying, i turn them off whenever i have the occasion, but i can't ignore the fact that a lot of people like it. If you are a gamer that you like to have a dark-blue background image with a lot of things in it, and you think that the screen-saver with the highest animation is the right for you then wait no more and switch, you will find a lot of new visual enhancements that you will like a lot. There are tons of malwares build trying to take advantage of Windows XP vulnerabilities, but with a good antivirus and firewall you can fix this once and for all. Is Windows 7 safer ? It is true that windows 7 has less known vulnerabilities, but this is probably because the malware creators didn't bothered so much to find them. It is also true that Windows 7 have by default some anti-virus security, but they can have vulnerabilities too. While they didn't improved the file permission system at all, i can't say that you can be safer in Windows 7 so you will need an anti-virus too. Being up-to-date is good. You should be aware that sooner or later the Windows XP will be only history, and if you anyway have to move then why not doing it sooner than later ? But, before you jump in and go to the first store to buy Windows 7, let me remind you that there are other alternatives too. Ask one of your tech friends to install linux on your computer and try it for few days. You will not be able to use it as you use Windows, but you should at least get used to it and the way Linux works. Why ? You already know the hype in the phone and tablet markets. More and more hardware developers switching to tablets, and the phones are getting more and more popular. There is a very high change that your operating system from the tablet that you'll buy to be based on Linux. I think Linux is the future. What linux provides is a good platform to build on, and this is why no one want to create their own from scratch, they take Linux and build on it. It is time saving and also more secure as we know that the security in Linux is top. The decision is up to you, the fact is that Windows XP is getting no younger and Windows 7 is getting no faster, but sooner or later you have to move on. Support for XP ends Apr 2014. And then Windows8 might be useful? And the world have already begun the move up to Linux anyway. Windows 8 is projected to be launched at the end of 2011, maybe 2012. As you know an operating system is going to be silly at the beggining, you have to wait for the first update to be able to fully use it maybe late 2012 or even 2013. Windows 7 was good at the begining because they already had Vista and it is just an upgraded and fixed vista, or, if you want to say a Vista without so many bugs. Software developers will be able to fully support windows 8 maybe late 2013, it is built on a new platform. 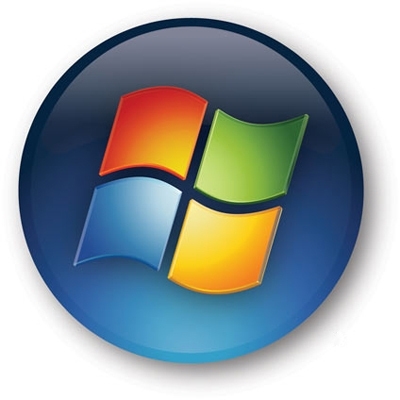 They were able to provide software for Windows 7 because it is build on the same platform as Vista. Well, the Vista/7 era started when they launched Vista and now it is at a higher level. If you want to skip opperating systems like that you should better try something else. Right now i don’t see a much difference XP/7, except the slow performance on old computers for windows 7. This is a big issue, but only for old computers. The problem is that XP starts to be dropped by all, new computers are sold directly with windows 7. In 2 years more and more will switch and software developers will neglect windows xp so you will lack many features. I think a good moment to change is when a new operating system is estabilished. To treat the trouble of slow-moving windows xp you could possibly attempt several solutions. The basic areas to look at will be computer registry, adware presence as well as general layout of your system. As a matter of fact registry is a simple factor to consider. To complete registry agreement you’ll need critical endeavours and knowledge or additionally – serious tool to complete the job. The alternatives for spyware impact are rather clear and readily available even free of charge over the Internet. The actual matters associated with state regarding the program – for example condition of your Memory as well as sufficiency from it capability or on the other hand requirement for hard disk cleansing needs to be resolved possibly by complicated process of ingredient assessment or by way of making use of particular software program.